the whole kit and caboodle's here. There were only few days left before the holidays when my family decided to go to Baguio. It wasn’t hard but instead impossible to get a hotel booking. So since we are a pack of ten, we opt to look for a transient house. I am the one in charge to look for a place and God knows how many sites I’ve already checked just to find one. Preference would be a budget friendly place, clean, near the town proper and it has to have the “Baguio” feel. So yes, we got one. Placed several texts and calls and then we deposited half of the payment to the bank. The big day came and off we go! We left Manila at around 3AM and reached the zigzag at around 8AM. At 9AM, we were at Baguio’s famous landmark –the Lion’s head. Lots of travelers stopped to take a shot, Baguio vacation won’t be complete without it. We also dropped by the Kennon view deck, not much to see. But the view is worth one’s appreciation. As we are about to enter the town proper, we noticed lots of buildings, houses and construction along the road. They were blocking our view and it was far from what I remembered! Not to overreact but I would like to conclude that mankind has taken over the mountains. And did I mention how bad the traffic has been over the years?? When we finally reached Baguio Vacation Apartments at Pines Garden Villas, we were really relieved. Our accommodation is like a row of townhouses on top of a hill. Wonderful! They have a guard-house too, so you are secured 24/7. We booked a three bedroom villa (which includes a kitchen, living room, two T&B and a terrace area). So everyone went up and unpacked their luggage. At around 3PM, the fog is already touching the foot of the hill and we were so thrilled! Off to our 1st stop The Mansion and Wright Park. We took a lot of pictures and even asked Manong Taho to take our group shot. There are Sagada orange vendors and artists trying to sell their stuff along the man-made pond. The kids strut their horse riding skills and we wrapped the day with a hot Bulalo dinner, perfect for the cold windy night. Second day is a tough one. We need to squeeze everything in one full day. First post, Lourdes Grotto. We aren’t really devotees, we just wanted to check out the place and brave the hundred steps of the grotto. After that we went to Tam-awan Village. Intrigued by the artificial Ifugao village on top of a hill, I ensured that this is included in our itinerary. My mom was not really thrilled about this place, but still I am happy to see it for real. There’s a lot of Bul-ol statues around and artistic stuff like paintings are in exhibit. Next station, the Philippine Military Academy. We came before lunch and I nearly forgot that we were in Baguio. The sun was scorching hot! So, that calls for a round of ice cream in the cooperative store near the parking area. My son was really amused with the old planes and helicopter displayed around the military compound. Other sites to see includes a chapel, tree house and old fighting machines. Following a quick nap, we went to Burnham Park. My cousins along with my husband and my son rode a boat for rent and row around the lake. The sun was about to set at that time, but it was still fun. My mom and my sister looked around the thrift stores set up in tents beside the lake. Biking is another fun activity to consider. Though utmost care should be observed especially if you are biking beneath dim lights. There’s a lot of bike rentals to choose from at a fair price of P40 per hour –solo, big, small or bicycles with sidecars. A sumptuous dinner at Rose Bowl completed the day. Their dishes are highly attractive. 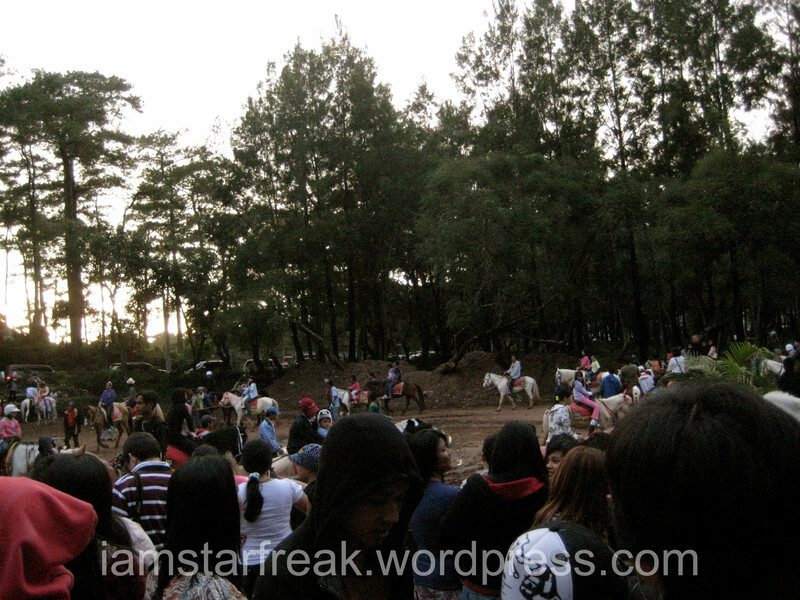 Rose Bowl has gained and kept its popularity in Baguio for several decades now. When you are around the town proper, consider going to Maharlika and the public market. It is more ideal to buy there than in malls or souvenir shops found in hotels or tourist destinations. You can buy an array of stuff — from silver works, blankets, walis tambo, Baguio delicacies like peanut brittle and strawberry jam. Souvenirs like key chains, ref magnets and the legendary Baguio souvenir –the man in the barrel. Third day is going back to Manila day. We were trapped for hours in really bad traffic! We were surprised that what caused this traffic was the newly built SM Mall at Rosales Pangasinan. There were no police officers to guide those who wanted to take a turn to the mall. 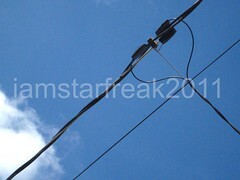 Then another line of traffic awaited in Tarlac, this time caused by a small intersection. It’s a happy thing that provinces are becoming more civilized. But I hope that they will also be able to keep up with peace and order. And so to put it, our ride home was really annoying and exhausting. To sum this up, Baguio is still a place to be. But since it is not getting any better, I have decided to put Baguio at the end of my traveling list. I might consider going back some day but not soon. Change is constant but I hope that it will be positive changes. So, till we meet again City of Pines! 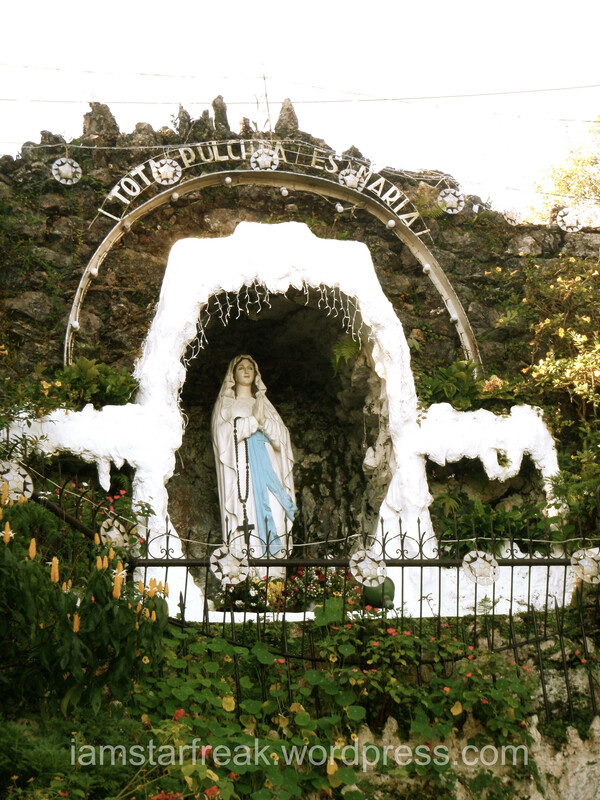 When you visit Baguio City, drop by their famous Lourdes Grotto. Though in its glorious condition no more, the place is more maintained compared to other tourist spots around the city. Catholics and even non-devotees go there to brave the steps of the grotto. Some say it has a hundred-step staircase (too bad I was not able to count it myself). When you get there, vendors will approach you and persist that you buy candles and flowers as offering. Halfway the high staircase, there’s a row of stores selling various souvenirs. Ranging from bags, key chains, knitted sweaters and many more. You can also ask native Igorots to pose with you for a fee. After your trip around the famous landmark, check out various silver works at Ibay’s which is situated right at the foot of the grotto. Other souvenir shops can be found beside it too. Not to mention an army of transient houses, ready to accommodate cluster of tourists especially during peak season. 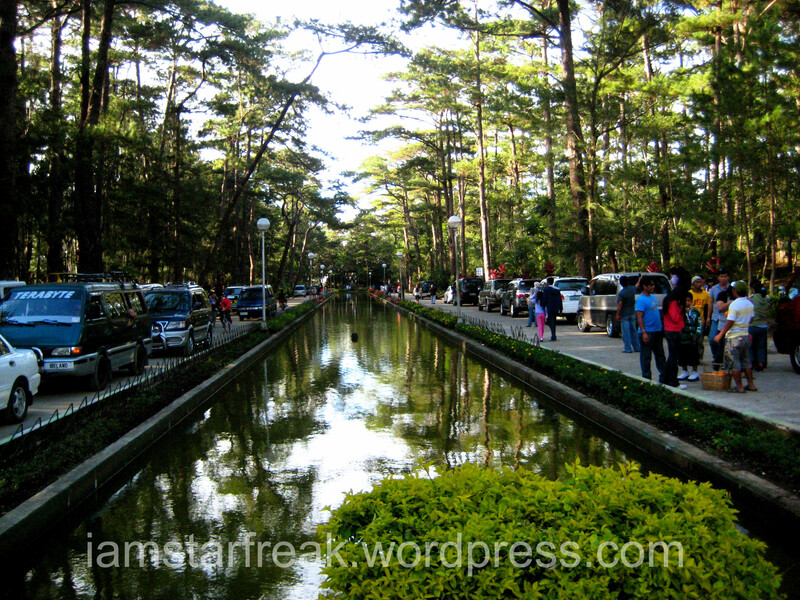 Baguio city is also the home of the Philippine Military Academy (PMA). The academy slash tourist attraction offers both educational and entertaining touring experience. Aside from their headquarters and barracks, old fighting vehicles and equipment were also displayed for public viewing. Though PMA is open to the public, remember to observe proper discipline around the military compound. Traffic is well maintained and be sure that you are driving within speed limit. Always keep off the grass (believe me, I’ve been there and done that) if you do not want to be confronted by uniformed officers and face public humility. You will also see a chapel inside the compound. Furnishings like a tree house and cabin-like huts can be seen there too. For hungry travelers, a cooperative store that sells food and souvenirs can be found right beside the parking area. You can wander freely inside the base, though some areas were already restricted and inaccessible to the public. 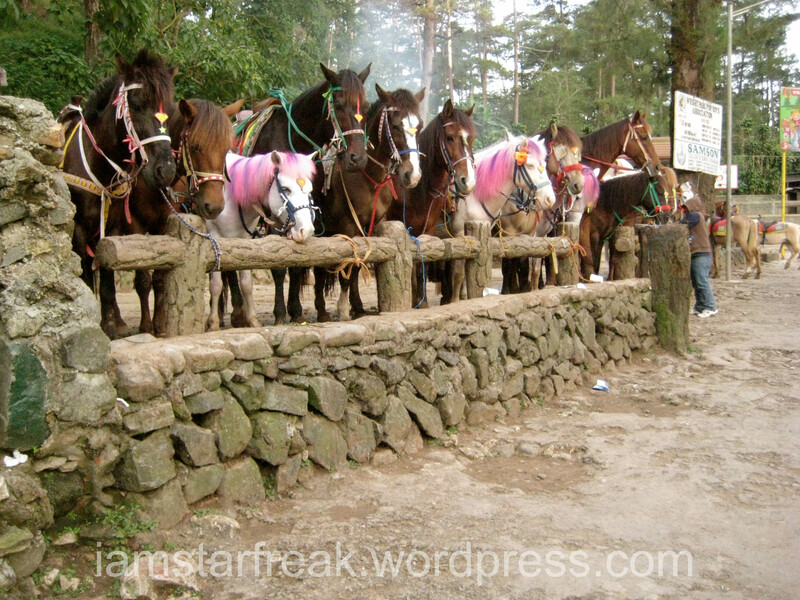 The Mansion House and Wright Park are two of the most sought after tourist spots in Baguio City. The Mansion House serving different purposes during the American era, now functions as a summer residence for the Philippine president. It is open to the public, but access is limited on certain areas only. The Mansion has a colorful history indeed! Cross the street to get to the Wright Park where the long man-made pond awaits you. 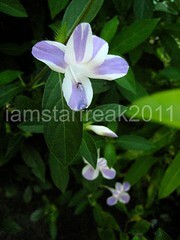 Enjoy taking pictures amid the flowers in wide diversity and lots of towering pine trees on both sides. There’s a newly renovated hotel along the pond too. Sagada oranges and paintings can be bought around the vicinity. In the middle of the “almost” perfect setting, a bulk of garbage caught our attention as we ended the walk in the pond with distaste. Cleanliness should be well-maintained, so to attract more tourist and preserve the natural beauty of the environment. 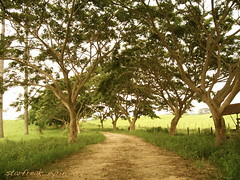 The main attraction here would be the horses that are available for rent (around P300 per hour). Professional or novice riders can have a thrilling ride as the horses were already tamed and coaches are there to guide you as you canter around the area. There’s a specific area for horse rides. But if I remember it right, you can ride outbound provided you are willing to pay additional fees. If horseback riding is not your thing, you can check out row of souvenir stores around. Watch out for horse’s poop and prepare to take a shower when you get back to your hotel. Tam-awan, also known as “Garden in the Sky” is an artificial Ifugao village constructed to demonstrate the Ifugao’s way of life. Open for public viewing at P50 per adult, P30 for kids and a discounted entrance fee for students and seniors. The place is a haven for the culture and arts fanatic, but for those who are not this is just another boring place to be. I am really fascinated when I read about Tam-awan in a magazine and was really curious to see the place for real. We were welcomed by man-manufactured steps, each step large enough for you to climb hard to reach the village up the hill. Then off for a muddy walk, hello Bul-ols and wide array of paintings. Traditional Ifugao huts are available for rent. I have read that they have a fertility hut, for those couples who wish to have a child. There are images of Bul-ols all over the place, an art exhibit called the Bugnay Gallery and you can also sit and have your portrait sketched by in-house artists. No need to worry about souvenirs, they have it inside the village. Though prices are far more higher than those sold in the public market. If hunger strikes their restaurant is always open to accommodate you at all cost. Here’s for the first timers, I suggest you put on your best non-slip rubber shoes. Believe me, it is not easy to climb those muddy stairs wearing Vans or Chuck Taylor! And I do not recommend that you tag your kids along because the stairs are steep and mosquitoes were so big! 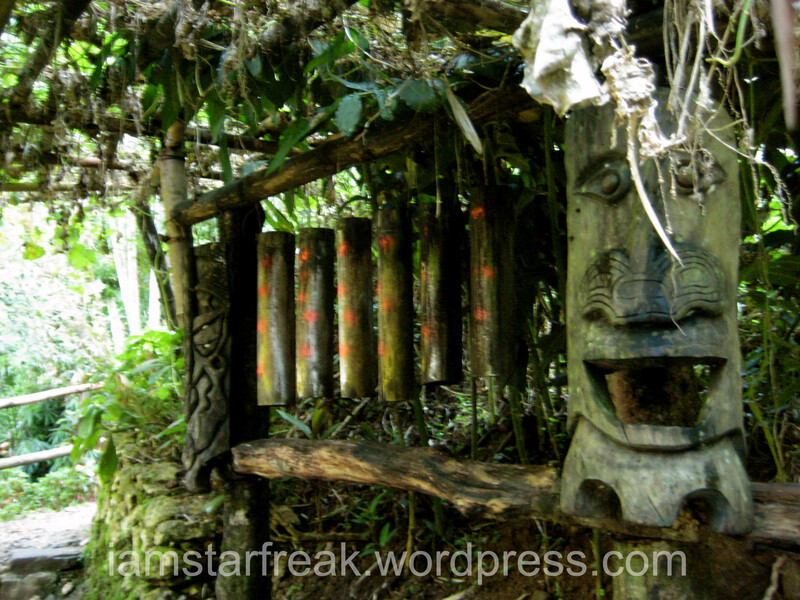 But I do hope as well that these will not prevent you to go to Tam-awan to appreciate and marvel the Ifugao culture.